Musto's new Fenland waterproof packaway jacket has won the Best New Clothing Product award at the 2014 Shooting Industry Awards. We started stocking the jacket in our online shop during April and have sold out several times over. The jacket comes embroidered with our logo on the left breast and is available in a range of sizes. The Fenland is waterproof, breathable and exceptionally light and versatile. There's no compromise on performance, despite its small pack size. 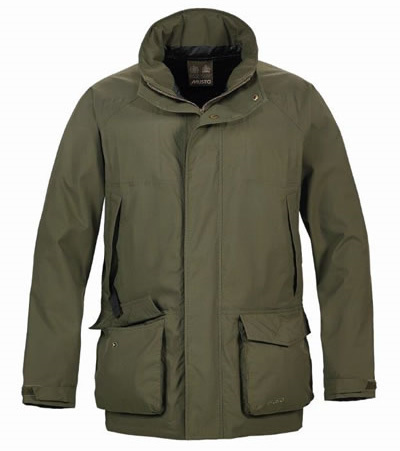 Whatever your country activity, this jacket is designed for warm wet summers in the shooting season and when light performance clothing is essential. Great value at £175.